Our goal is to provide you outstanding automotive care. This includes Emergency Tire service. Our expert technicians can mount, balance and rotate your tires quickly and efficiently — no matter where you bought your tires. 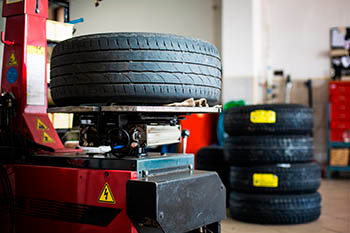 Tire repair and inspections blend into the daily maintenance routine at JD’s Automotive Repair. If you have a tire Emergency we will handle it. Their inspections cover a multitude of necessities – they check for mileage on the tires, depth of treads, rubber dry-rot, air pressure and any wear and tear evident that may detract from quality in the tires.